New JBFC original series Inquiry: Science on Film kicks off Wednesday, Oct. 10 at 7:00 with a screening of stellar new documentary Science Fair, but the experiment doesn’t end there! Following the screening, high school science teacher and documentary subject Dr. Serena McCalla joins us for a Q&A. 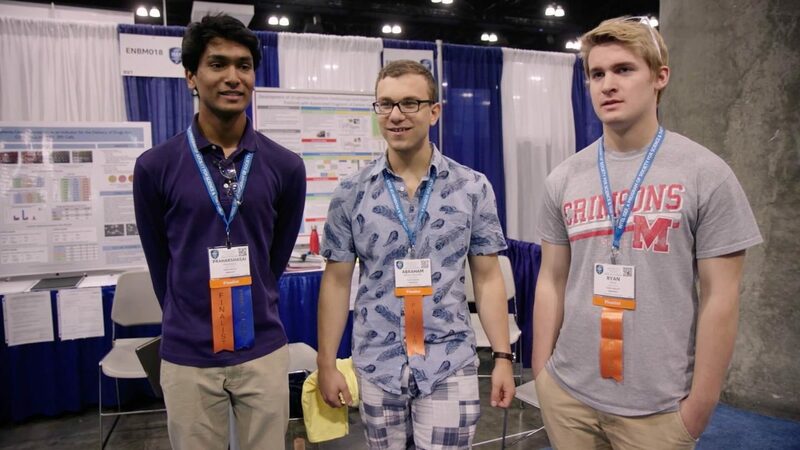 Audience members will relish the opportunity to dive deep into the film’s material and gain insight into the journey from high school classroom to international science fair. Following the screening and Q&A session, a reception will be held in the Jane Peck Gallery on the second floor of the JBFC Theater, complete with light refreshments and the chance to mingle with fellow film lovers. Inquiry: Science on Film is the brainchild of JBFC sponsors Northern Westchester Hospital and Phelps Hospital, whose support makes the launch of this new series possible. Thanks to their support, the JBFC now has the ability to offer year-round screenings of new documentary films enhanced by conversations with speakers from the world of science, medicine, mathematics, and technology—a welcome development as we seek new community connections through film. Tickets for opening night of Inquiry: Science on Film are now available on the JBFC website. Get ready to break some barriers and beakers!